Practical & Beautiful: Cardholder & Card Project! Alexia has a gift for you! Not only is this DIY card holder gorgeous and great inspiration, she is also gifting you the cutting file! You can recreate this at home easier than ever! It's me Alexia here today, I have created a project to share with you today! I made this card holder that can store all the handmade cards you made and would like to give out to others. Yes, it's like a gift box except that it holds cards. What do you think? If you are interested, I have not only the tutorial but also the cut file to make this card box for you. I will also show you how to create the pattern on the box using Craftwell's Cut 'n' Boss and dies! Please find the cut file at the bottom of this post (cut file is only for personal use only please). Step 1: Download cut file and cut the card box using your cutting machine. NOTE: This card box holds about 8 cards (and envelopes) that measure 4 1/4" x 5 1/2" in size. 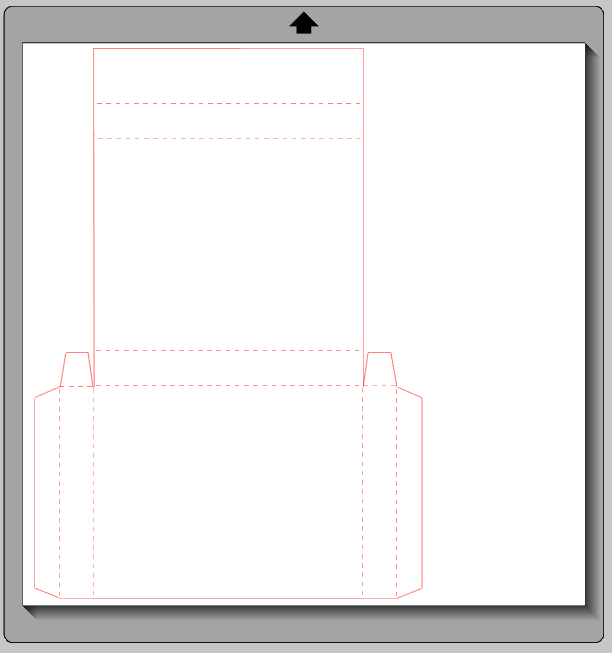 Step 2: Take the cut-out card holder from Step 1, place the die that you want to use on the front of the card holder and run it through the Cut 'n' Boss machine. Step 3: Emboss a piece of card stock using Teresa Collins' embossing folder and adhere it to the back of the cut-out pattern (the result from Step 2) such as shown in the pictures below. Step 4: Take a strip of card stock and use the same die, run it through Cut 'n' Boss Machine. Adhere the cut-out to a card stock like below. This step is to make band around the box. Step 5: Embellish the card holder (optional step) , I used TC's flower die and decorate it on the band. Here is the card holder, I hope you like it! Thank you for checking out my post today, I hope you have a wonderful day!